An itinerary involving a long journey on which Galicia is reached from Portuguese soil. From the cathedral of Santiago the road Rúa A Raiña departs, a street that has witnessed a long history. It was here that Santa Isabel, the wife of king Don Dinís once lived. Having first completed the pilgrimage to Santiago in 1325 and, repeating the experience the wide street adopted her name. 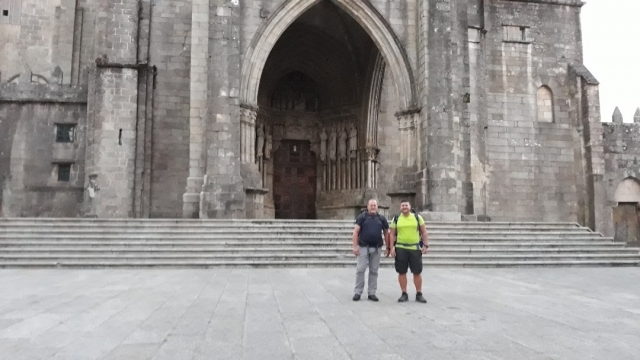 This testimonial demonstrates the legendary commitment of the Portuguese crown to the Camino de Santiago (Alfonso Henríques had already arrived to Compostela in 1097 and Alfonso II in 1220). The origin of the Portuguese route can be traced back to the dawn of Jubilee fervour, practically to the initial discovery of the alleged remains of the Apostle in 813. After a rocky start in early medieval times, Jacobean popularity on Portuguese land became consolidated, from the mid-twelfth century onwards, once Portugal had become independent, and since this time its dedication to the pilgrimage has remained constant. Route to the North via the coast or through the centre (or the interior) Unlike other routes, where the layout is unique-with the exception of some small sections-in Portugal there are many routes to Santiago, almost as many as there are pilgrims. Among them there is that which departs from Lisbon and proceeds to Valença, the backbone of the Portuguese Jacobean network. 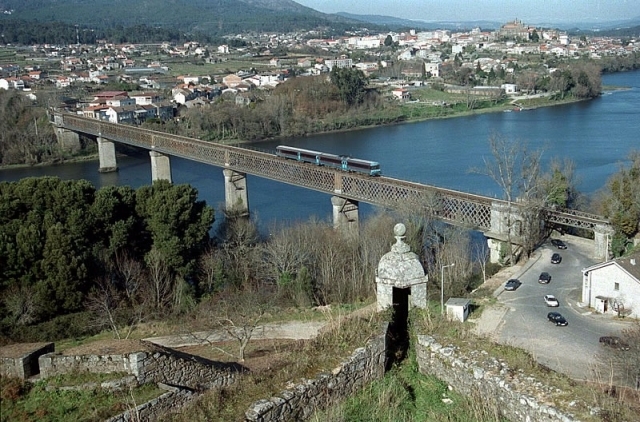 Once the river Miño has been crossed-the geographical and political border with Portugal-via the international bridge (until 1884 this was achieved by boat), pilgrims enter on Galician terrain, on an uncomplicated and well signposted journey to the north. Negative points to this route can be found, nowadays, on the N-550, the road that links Vigo and A Coruña and, that imposes and overlaps on many sections of the Portuguese Way. Hikers are also faced with, in numerous sections, having to cross the rail tracks without safety barriers.